To create an Eject CD/DVD shortcut, we need to rely on third party utility which has open and eject CD/DVD tray function. One such software application which is free and small is Eject CD 1.0 by Alex Nolan, a very tiny program which can be used to eject the default CD drive, DVD drive, or burner and writer from the command prompt or from a batch file. Of course, it’s possible to be called as target from shortcut too. Note: You can also make use of third party programs listed here used to close the CD/DVD drive. Right click on the EjectCD.exe. Then assign a name, such as “Eject CD” or “Eject DVD” to the shortcut on desktop by renaming it. 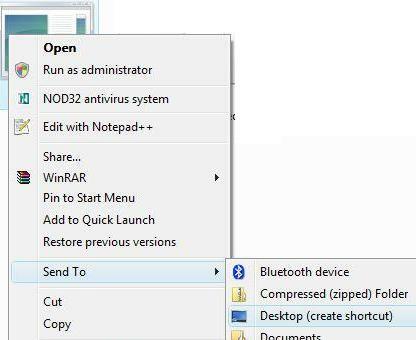 By default it will be named “ejectcd – Shortcut” in Windows Vista and “Shortcut to ejectcd” in Windows XP. Users can also change the icon of the shortcut. Once created, the eject CD/DVD shortcut or icon can be moved anywhere, and when double click, will immediately eject open the optical drive. Users can also assign an shortcut key to the shortcut so that CD/DVD drive can be ejected with just keyboard press, or create another shortcut to close the door of CD/DVD drive.